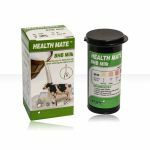 The Healthmate BHB Milk Test can quickly and easily measure the levels of Beta-hydroxybutyrate (BHB) in milk. 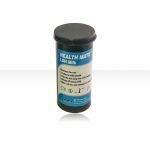 BHB is one of the major ketone bodies formed during ketosis. Subclinical Ketosis, a condition where the cow uses fat instead of carbohydrate as a source of energy is detected by measuring the levels of ketones in the milk. 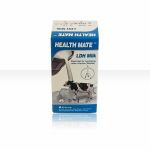 A high level of beta-hydroxybutyrate is an indication that the cow is underfed or in a late stage of lactation. 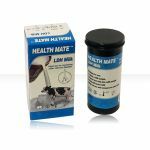 The Healthmate LDH Milk Test is a dipstick test to determine elevated levels of lactate dehydrogenase (LDH) in the milk. Mastitis is an inflammation of the mammary gland that is nearly always caused by bacteria in the udder. It is the most costly disease in the dairy industry due to lowered milk yield and milk quality, causing increased production cost's. The response of the animal's immune system to inflammation is an increase in white blood cell count in the udder. 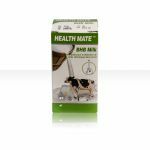 This defence mechanism is accompanied by the release of several enzymes including lactate dehydrogenase (LDH). The more severe the inflammatory response, the higher the level of this enzyme. 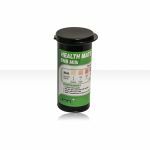 LDH levels often rise earlier than somatic cell counts, making it an excellent marker for early detection of udder infections. Urea is the major end product of protein nitrogen metabolism. It is synthesised in the liver from ammonia, which is produced by amino acid de-amination. Milk urea nitrogen is the fraction of milk protein that is derived from blood urea nitrogen (BUN). When cows consume feed containing protein, if bacteria cannot capture the ammonia and convert it to microbial protein, the excess ammonia is absorbed part of the protein is degraded to ammonia by rumen microbes across the rumen wall. Because ammonia can shift blood pH, the liver converts ammonia to urea to be excreted or recycled. Urea diffuses freely across cell membranes; therefore MUN concentrations represent blood urea. If MUN values are high, the herd is possibly wasting feed protein along with excreting excess nitrogen into the environment. 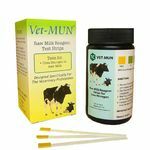 If MUN values are too low, the rumen bacteria yield can be reduced thereby limiting milk production and milk protein yield.